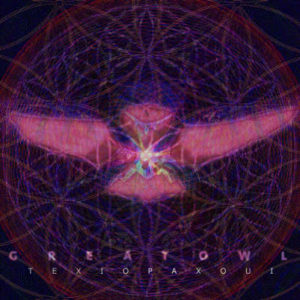 Texiopaxoui is the debut downtempo release from Denver-area producer GreatOwl. Dedicated to all sentient beings, Texiopaxoui contains organic dreamscapes and grooves invoking the forests and streams of the Rocky Mountains. This full-length album reveals a varied sonic heartbeat ranging from meditative instrumental passages to downtempo bass and glitch. Mastered by Nick Gathany at ZYZZYWORLD Masters. MP3 Download | FLAC Download | WAV Download · Download count: 17,561. Wow! Those bass glides drop below 20Hz! Track 07 ¶Quetzito¶ is awesome. I’ve been wanting to hear more artist do more than just rely on synth and use cookie cutter samples. Wow! This is some DIFFERENT STUFF! I love the creativity brought to this album. CONGS!! Bass grooves, a bit of glitch (not overdone), pulsing downtempo beats, wow! What’s not to love here. This is a solid debut which has me lusting after new material by the artist. Congrats on the rating – good score for a debut album. Thanks, I’m gonna stick this in my most fave category and one of the best albums I have downloaded from Ekto! Gratitude to artist and Basilisk!